A thief was caught stealing perfume to use as gifts because he was struggling financially. 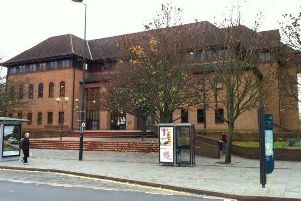 Chesterfield magistrates’ court heard on Tuesday, January 23, how Stuart Guthery, 35, of Woodside Place, Clay Cross, stole two Armani perfumes from Boots, on Low Pavement, Chesterfield. Becky Allsop, prosecuting, said: “He was in Boots on December 20 and picked up two fragrance sets and he picked up other items but concealed the two fragrances. Guthery told police he had been struggling financially at the time and he was not expecting to be paid until December 29 and he had needed presents for Christmas. The defendant, who has previous convictions, pleaded guilty to the theft. District Judge Andrew Davison fined Guthery £230 and ordered him to pay a £30 victim surcharge and £85 costs.